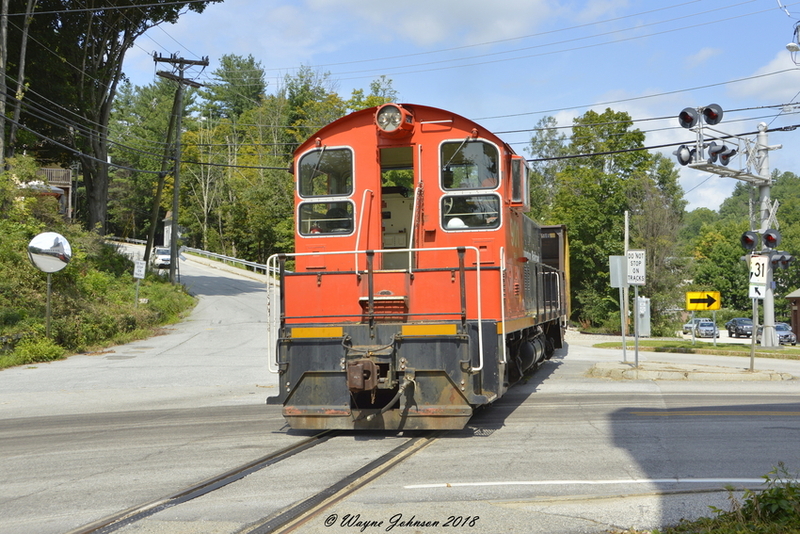 Milford-Bennington crosses Route 31 in Wilton, NH on their way back to the quarry. Photographed by Wayne Johnson, August 8, 2018. Added to the photo archive by Wayne Johnson, August 8, 2018.